We got in a couple more days at Whiskey before the snow came today. I made a solo trip on Friday itchin’ for some new stuff. I got my fix in the Red Valley, a short five minute walk from Tuna Juice. I did a few problem there last winter and knew there could be a few more, but it ended up being a lot better than I remembered. I put up seven new ones. All were worthwhile, but two of them were well above average. 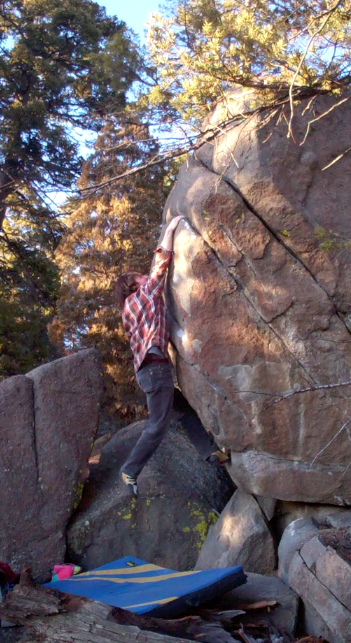 Here’s a couple screen shots of “Montana Cancan” a sweet V4 with a very cool dyno. As a side note, I usually take a lot of video when I’m alone, but only put a little bit online, so I’ll start posting more screenshots from the vault. I had a pretty crazy work week so I was planning on working Saturday and heading back out Sunday. Long story short, I shuffled things at work cause Sunday looked like crap (and it was…) and made it out Saturday afternoon. I couldn’t believe it when I got there. NINE CARS at Whiskey! There were at least twenty different people out there. 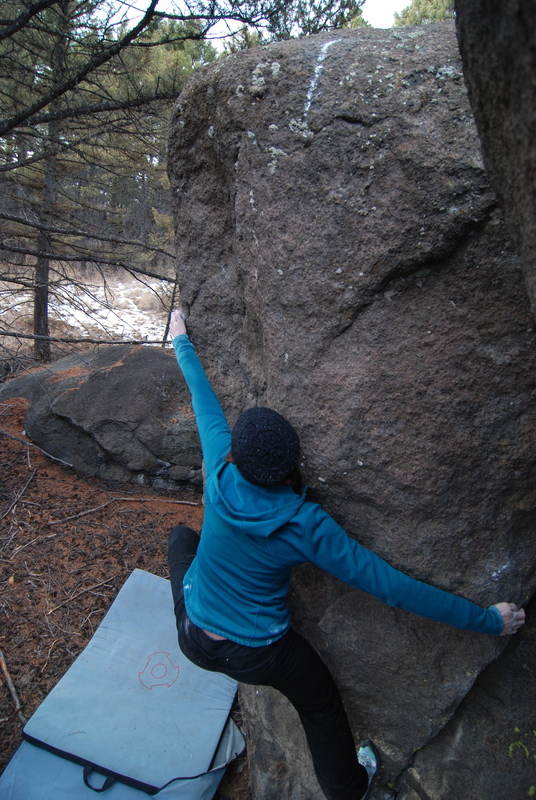 There were about 10 Bozeman boulderers out there, so according to a recent Rock & Ice article every single boulderer from Bozeman was at Whiskey Saturday. While I’m on the subject, Jeff Ho got the FA of the Green Monster (vision & cleaning by Ryan Holm), Joe Meiners last name has two e’s in it and Fruh’s line in the Canyon is called “Der Fruh Lowe” not whatever they put. Just a few of the errors… Great photos by Ben Herndon though. 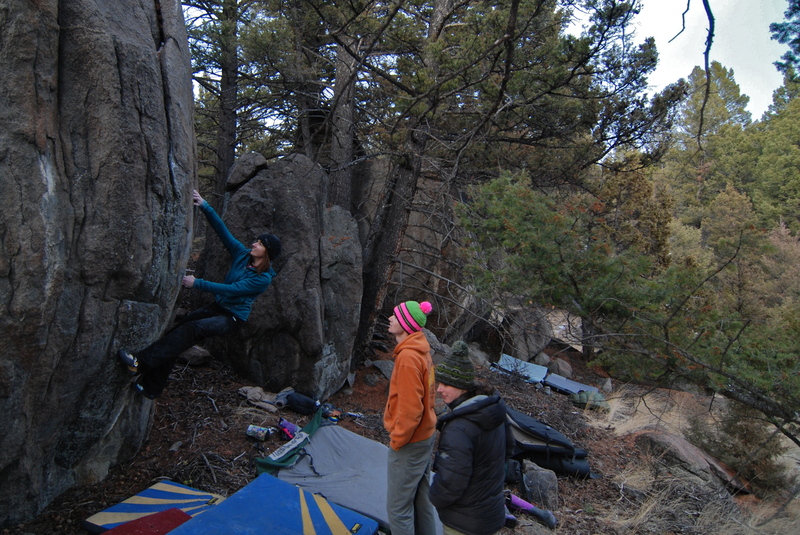 Anyways, I spent the day climbing with Peder, Jess, Molly and Brandon. 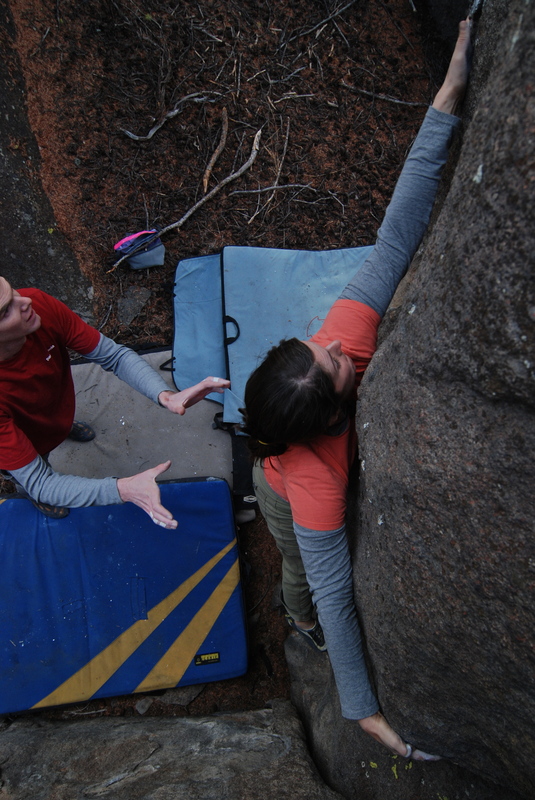 Shortly before I got there Peder and Jess continued their Whiskey crushfest with Peder getting the second ascent of Ho-masters “Just for Men” V9 and Jess finishing off the Emphysema Traverse Low V4+. 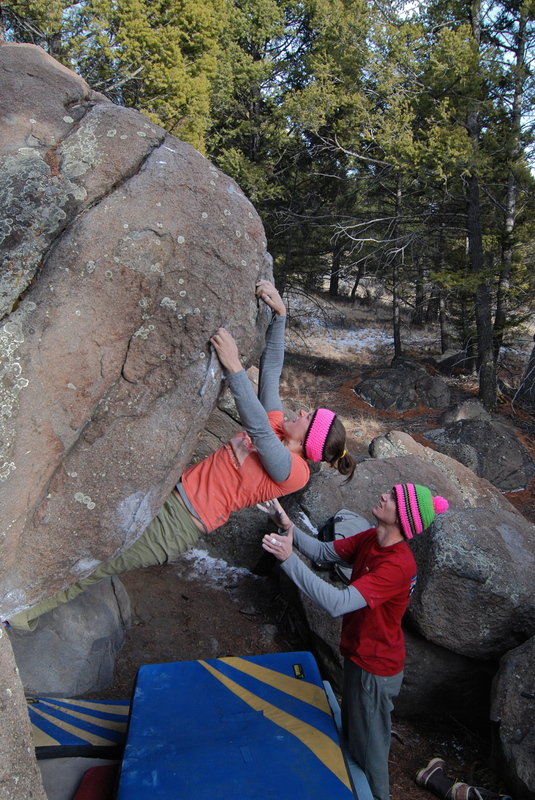 Jess also crushed her season long project “CCC” V5. Pretty cool to see her put that one down. After that I talked them into heading to the Red Valley. 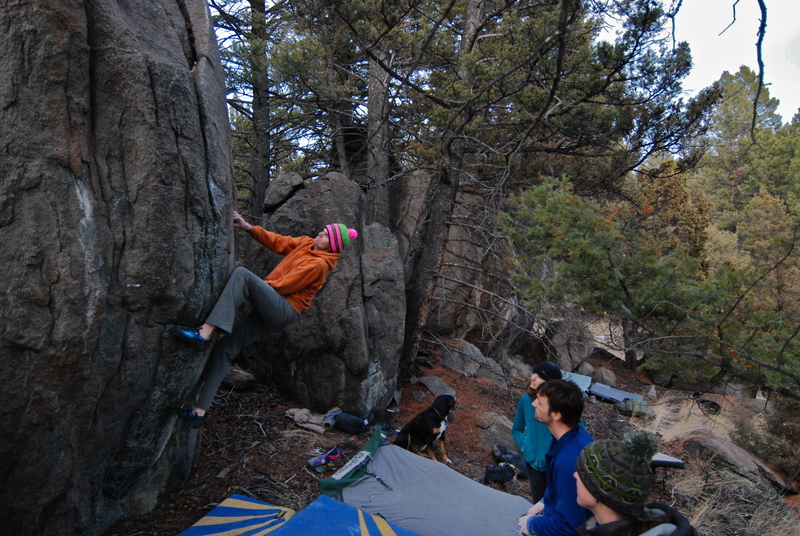 We started on a problem that I put up last winter, Full Gravity Daze V?. 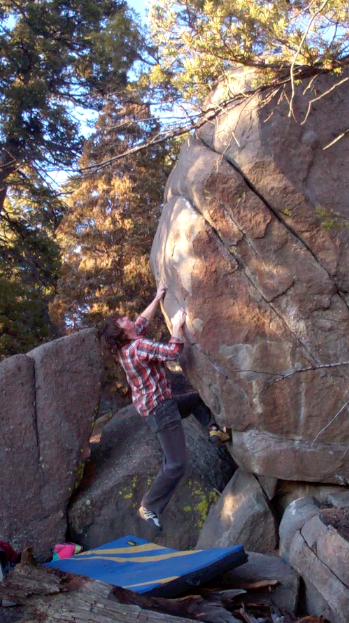 It’s a great compression arete with the one of the coolest moves I’ve done for the crux. It’s a giant reach to a tiny crimp above the lip off of a toe hook. 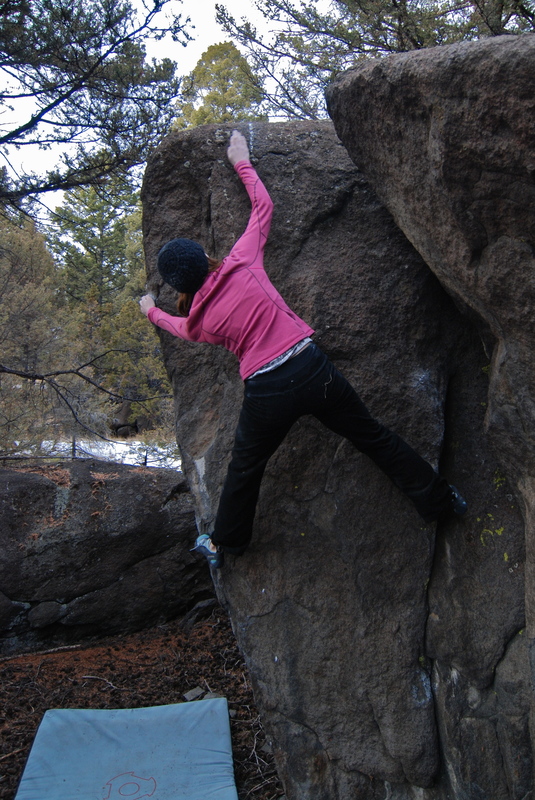 Unfortunately the crux and even the move before the crux is very height dependent. 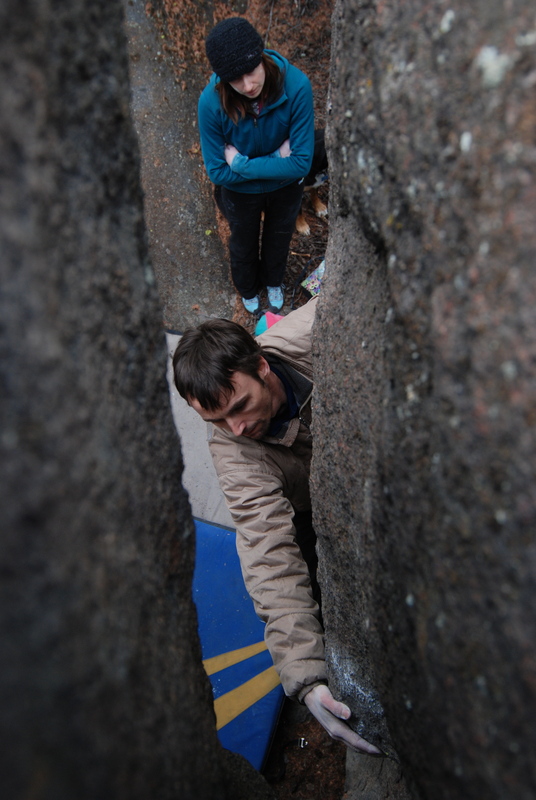 It wasn’t too bad for Peder and I, but everyone else who is shorter than 6′ struggled with the crux. Molly just about sent a nearby project as well. Next go for sure. 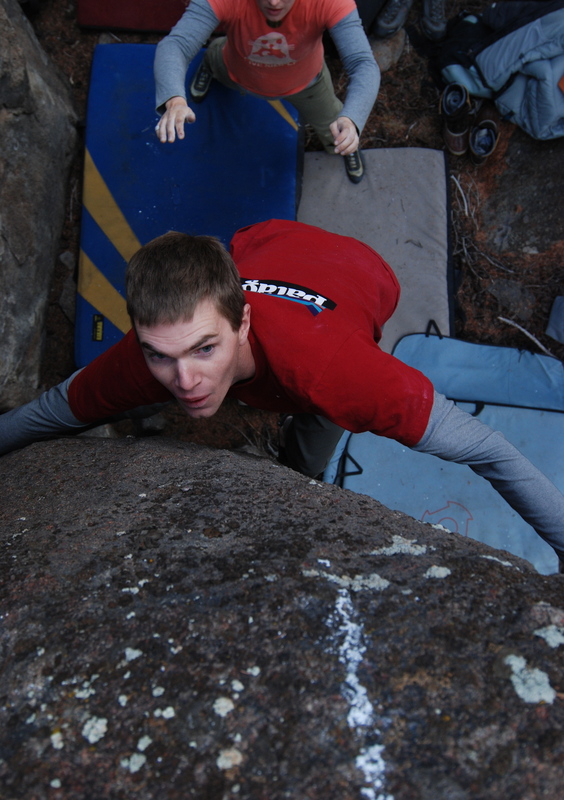 K-Fed (Kevin Macartney) put up some good photos of the crew he was climbing with as well. Click me. which rock and ice article are you referring to? 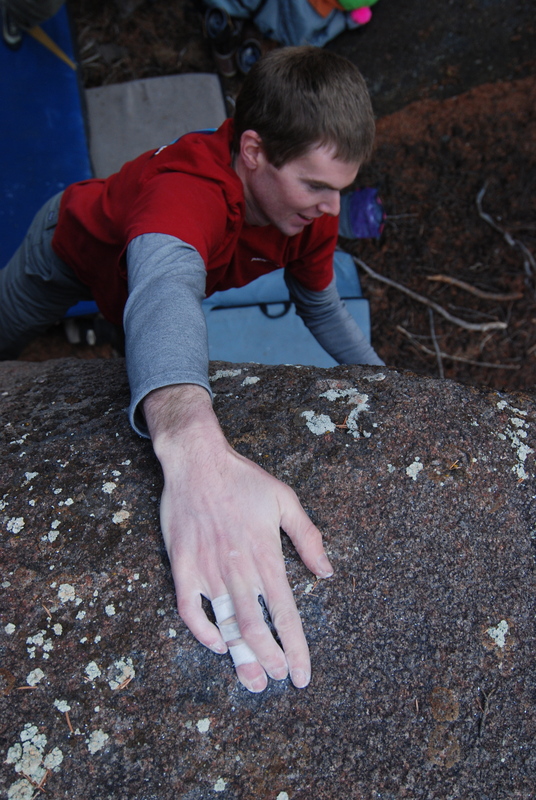 There’s a short article on Bozeman climbing in the current Rock & Ice. I like the new boots Erik! Thanks for the shout out, and as always great photos!